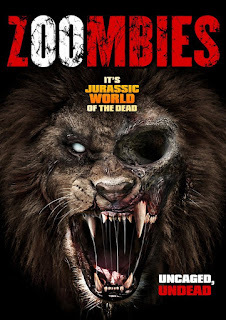 When a virus breaks out at a new state of the art zoo and starts turning the animals into the living dead, those who work at the park must take it upon themselves to stop the virus spreading before it takes over the city.....or the world. Jennifer Aniston lookalike Dr. Ellen Rogers (Kim Nielsen) is the zoo director at Eden Wildlife Zoo and wanting to make it successful she opens it up to some interns to see the inner workings of the zoo. Inside the vet clinic the vets are looking at some monkeys that have come down with a strange illness. When one of the monkeys dies it gets injected with epinephrine and soon becomes a zombie, quite how all the other animals becomes infected is not clearly pointed out other then the possibility the virus maybe airbourne. The infected are contained within the room until they are set free by the interns thus putting the zoo on lockdown. 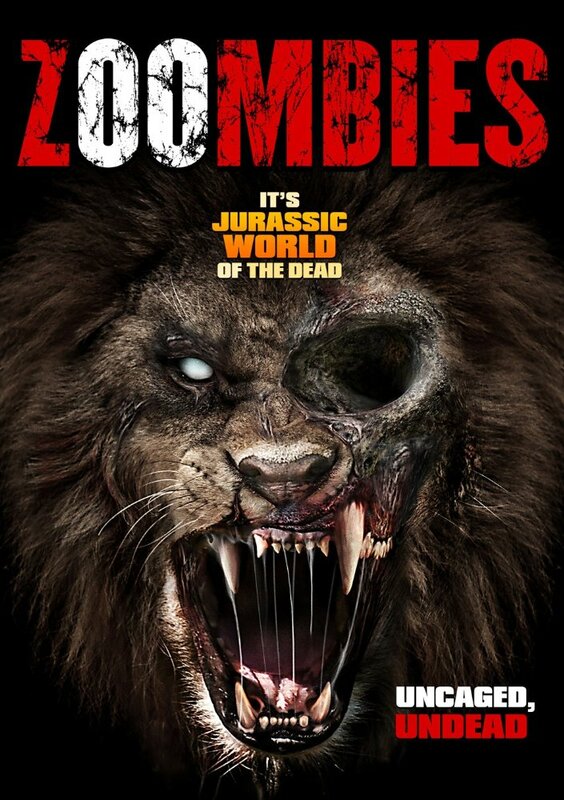 Now they must all come together to kill each of the infected animals or risk the virus spreading across the zoo, resulting in an explosive finale. This latest entry from The Asylum does not hide it is a low budget horror but that is what makes it fun to watch. The characters themselves are cliches from the jock, to the spoiled rich girl right through to the trigger happy white guy. There is some lines that make you laugh such as the zoo director pointing out that "this is a zoo not Jurassic Park". As is usually the case with these low budget fares from The Asylum the cgi is questionable especially the elephant riding scene, but in other places it looks really good. We even get a few practical effects and the traditional man in a monkey suit. Where do you want to start with comparisons? The obvious is 'JURASSIC PARK' which you could say was the framework for this film and add in a bit of 'ALIEN' (monkey bursting out of chest scene) 'ALIENS' (security being over run by animals) mixed in with animals on the rampage movies and you have the makings of a kitsch movie that will be hard to not enjoy. The movie does end with a possibility of there being a sequel but we will have to wait and see if The Asylum have another franchise on their hands like 'SHARKNADO'.